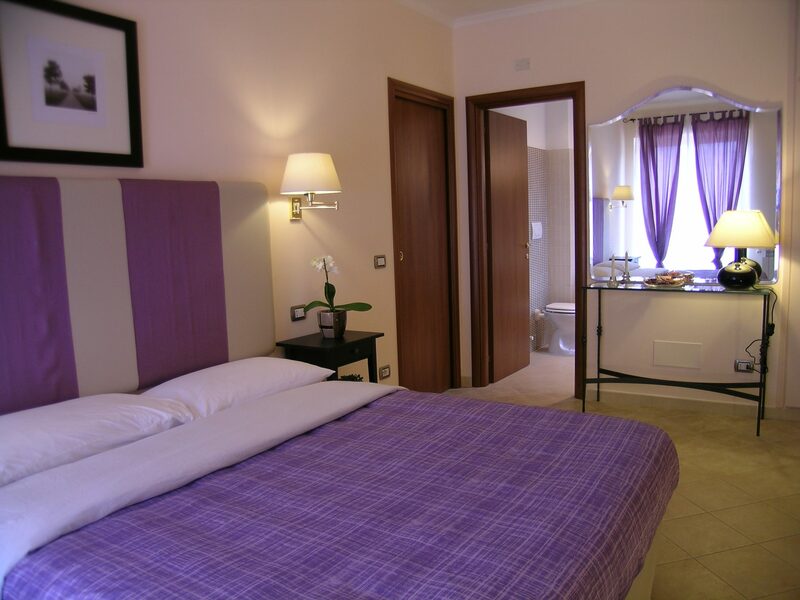 One of your biggest expenses in Rome will be accommodation. But you don't have to spend €200 per night on a place where you'll spend most of your time, well, unconscious. As my first "Five for Friday," here are five of my favorite hotels and B&Bs here in Rome, all costing less than €80 a night. (Prices listed are for low season; in peak season, they are, of course, usually higher). 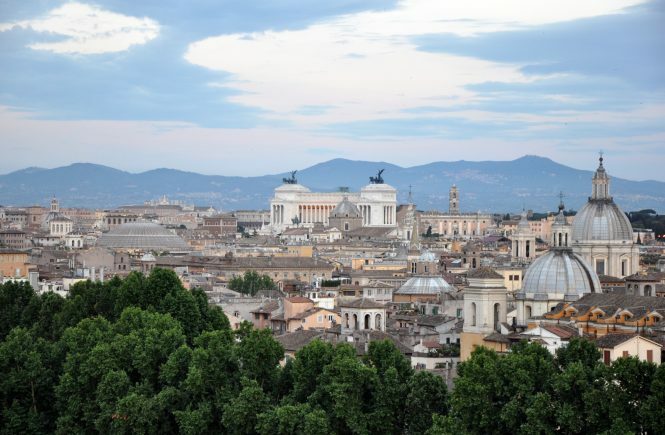 Why it's great: The new, clean rooms are big for Rome (see photo, top of post). 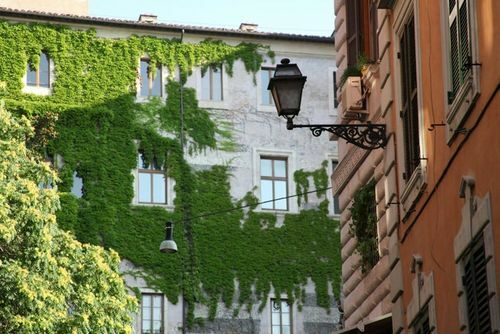 The location, in atmospheric Monti, is one of my favorites; it's a short walk to the Forum or Colosseum, but just off-the-beaten-path enough to feel like a hidden gem (the hotel is on the street pictured above). There's free Wi-Fi. And Alessandro, the multilingual owner, is a local who gives great advice about where to go and what to see. Why it's budget: It's on the third floor of a well-worn, 16th-century building, without an elevator. Rooms are fairly spartan. Why it's great: The Beehive's rooms, including hostel and hotel rooms, are cute and colorful. There's free Wi-Fi, linens, and handmade soaps. The Beehive is also eco-conscious, offering an organic, locally-sourced breakfast (for a small extra fee) and all-natural cleaning products. And there's a lovely garden where you can hang out and enjoy the sun. Why it's budget: Although the location, a stone's throw from Termini, seems convenient, it's not actually the area that most travelers choose to frequent when they're in Rome, and some parts of the neighborhood can feel a bit gritty. Why it's great: Location, location, location! The Maison Giulia is located in a lovely 17th-century palazzo on Via Giulia—a street that just might be the most beautiful in Rome. 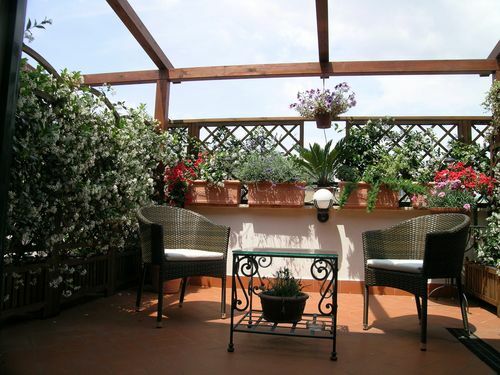 It's a stone's throw from Campo dei Fiori and Trastevere, and a short walk from Piazza Navona. 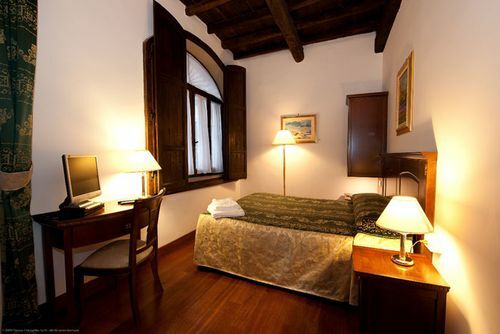 Rooms are classic "old Rome," with original wood-beamed ceilings. There's free Wi-Fi. Why it's budget: The rooms are on the small side, and can seem dark. Some online reviews mention that the beds are a little firm. 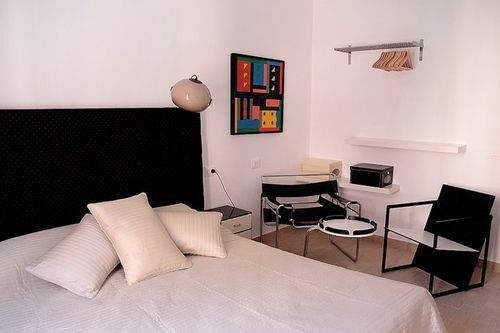 Why it's great: Located a stone's throw from the Colosseum in the tranquil, residential Celio neighborhood, the B&B has four cute vintage-inspired rooms. Each has the modern amenities, including an LCD TV, Wi-Fi, and air conditioning. If the B&B is already booked, RetRome has another B&B on Via Veneto as well as several apartments, all in a similar price range. Why it's budget: The building it's in, although the area is very safe, doesn't look so hot from the outside. In reviews, the B&B has been dinged for poor communication over reservations, for thin windows that let in street noise, and for the Wi-Fi not working. Why it's great: Each room has a private terrace, perfect for enjoying breakfast or an evening glass of wine (above). The rooms are clean, new, and pretty, with pops of purple (below). There's a lot of closet space, a flat-screen T.V. with BBC, and free Wi-Fi. The location is tranquil—perfect for those who don't want to risk the noise of the center—and in Testaccio, an authentic, non-touristy neighborhood that happens to be one of the best districts for dining out. Why it's budget: Although Testaccio has some great offerings and is just two metro stops from the Colosseum, it's not the center, so you won't walk outside and immediately see, say, Piazza Navona. The street the B&B is on, while safe, isn't particularly pretty. The photos in this post were provided by the properties. Carissima Amanda, ti scrivo in itliano perche faccio meno fatica. Ho scoperto oggi il tuo sito. Complimenti ! In poche ore ho conosciuto una Roma che non avete mai visitato. Sto cercando un alberto per il mese di Aprile e avrei scelto quello MONTI. Purtroppo le tariffe sono aumentatissime , circa 185 euroa a notte per una doppia. Cosa è sucesso ? Anche questo dopo che l’hai messo nel sito …… gli è andato su di testa ! Ahhh che peccato! Grazie mille per la nuova informazione… sto scrivendo a lui adesso per vedere che e’ successo! 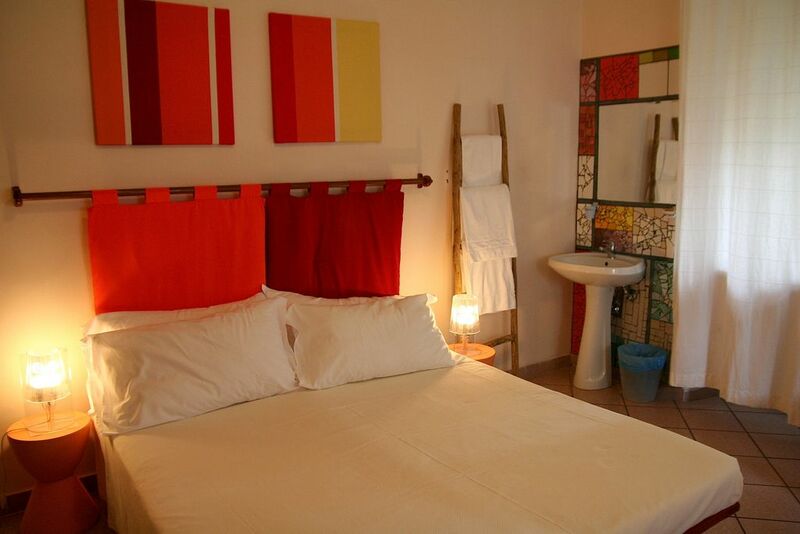 I’ve booked a 3-night stay at Raffaello Hotel (Via Urbana – Monti neighborhood). Any opinion about this place ? Thanks for the kind words! 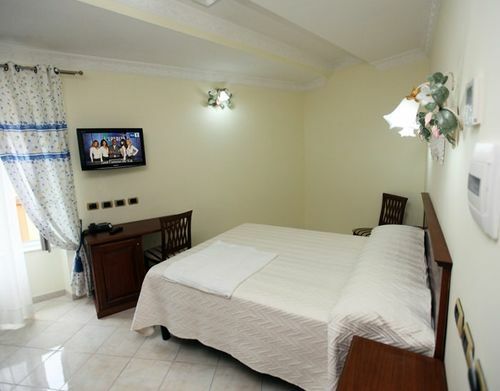 I unfortunately don’t know the Raffaello Hotel… let me know how it is! I hope you have a great stay in Rome!